Ashley and I were Chi Omegas together at The University of Tulsa and reconnected in Southern California through the Los Angeles Chi Omega Alumnae Chapter. 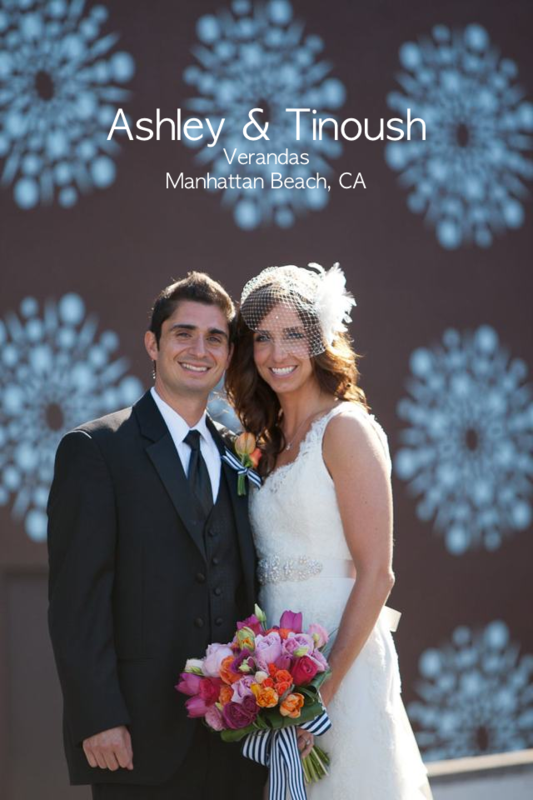 When Ashley and Tinoush were engaged, I was pretty thrilled to be asked to design their elegant/romantic/preppy wedding. With soft, textural florals in bright hues of pink and orange, tropical foliage, navy and white striped grosgrain ribbon, green apples accents, brightly colored paper lanterns and loads of candlelight, I think we were able to achieve everything that they hoped for. Their wedding was full of fun and laughter, just like them!